Commercial property owners are saving significant income tax dollars by utilizing our services. Perkins Financial, LLC, dba Cost Segregation Services, Inc., has conducted over 640 projects nationwide since 2010, resulting in over $86,000,000 in deferred income tax. We are very proud of that accomplishment and are pleased to share testimonials from many satisfied clients. Perkins Financial, LLC is based in Huntsville, Alabama and its primary purpose is to create cash flow for owners of depreciable real property. This purpose centers around the core service of Cost Segregation Studies – helping you save/defer income tax through accelerated depreciation! Other ancillary services such as Asset Valuation; Building Systems Compliance Reports; and Capitalization to Expense Reversal have originated recently in response to the Repair and Capitalization Regulation (or Tangible Property Regulation - TPR) T.D. 9636 - both for economic and compliance benefits. LED Lighting Retrofitting has become a companion cash flow product through partnering with Energy Professionals. See a more detailed description of these other services under “Services”. As to our core service: Cost Segregation is the process of identifying and quantifying the components of a building and provides the compliant source document for a property owners’ tax professional that allows them to bring income tax benefits to their clients. We help the client save/defer income tax! Using engineering-based methods, this process identifies the building components that can be depreciated in a shorter life time - thus accelerating the depreciation deductions. The money which would have been paid for income tax is now retained to be used otherwise – to be invested, to pay down on the mortgage, to purchase other assets, for working capital, etc. This benefit is based on the "time value of money" and provides a tremendous ROI. This procedure allows one to “catch up” what they have missed out on for their duration of ownership and bring that additional depreciation into the current open tax year without amending past returns. In December 2017, President Trump signed into law the Tax Cuts and Jobs Act (TCJA), one of the largest tax overhaul along with TPR in over 30 years. One immediately notes that it made small reductions to income tax rates for most individual tax brackets and significantly reduced the income tax rate for corporations. The act has over 1,400 pages, and thankfully, the professional staff at Cost Segregation Services, Inc. (CSSI) studied it and mined the salient provisions that primarily impact our services for owners of depreciable real property - key benefits being 100% Bonus Depreciation for new and used properties, enhanced Section 179, and Qualified Improvement Property (QIP). Perkins Financial works with clients nationwide and can assist your tax professional in bringing you income tax savings/deferral, and compliance with the Audit Technique Guideline for Cost Segregation; the 2014 Tangible Property Regulation; and the 2017 TCJA. Never have the benefits been greater due to accelerated depreciation from cost segregation, inherent expensing opportunities with TPR, and 100% Bonus Depreciation and enhanced Section 179 from the Tax Cuts and Jobs Act. The services of CSSI as a quantification company are more valuable than ever. The first step is a preliminary FREE analysis to see if your properties qualify. Perkins Financial has performed over 640 cost segregation studies, with over 140 of those being for Funeral Home property owners. 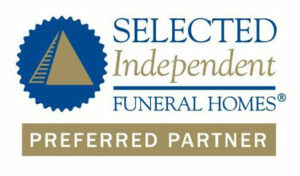 Greg's targeted and proven specialty with funeral homes can bring valuable cash flow benefit to your funeral home business. Below are more examples of property we have done studies for.